In large bowl, break up cookie dough. 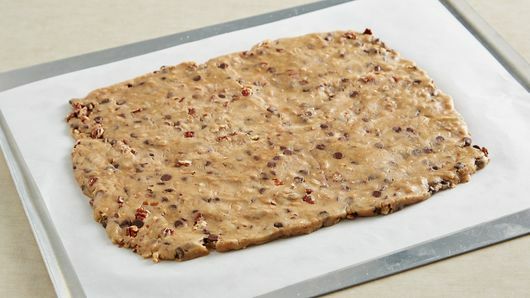 Add flour, 3/4 cup of the toffee bits and 1/2 cup of the pecans; mix with spoon or hands until well blended. 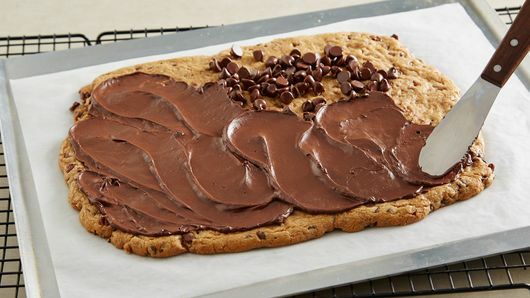 Place on cookie sheet; press or roll into 12x10-inch rectangle. Bake 20 to 25 minutes or until deep golden brown and crisp. Immediately sprinkle chocolate chips on top. Bake 1 minute; spread melted chips evenly over cookie. 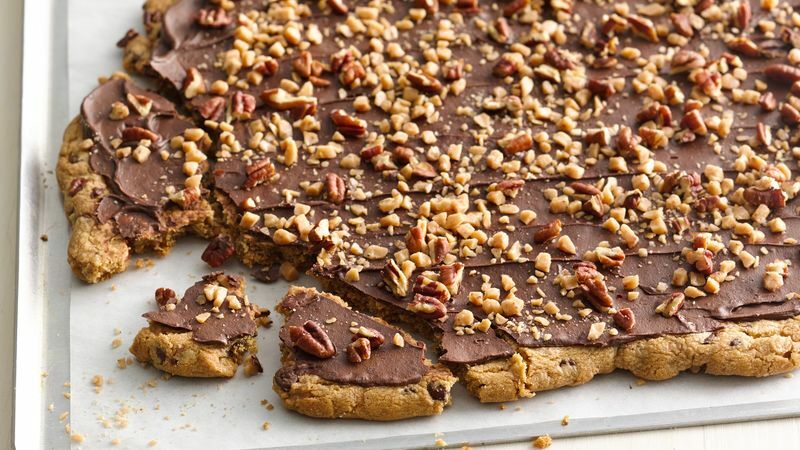 Sprinkle with remaining 1/4 cup toffee bits and 1/4 cup pecans; press into chocolate. Cool completely, about 30 minutes. Refrigerate about 10 minutes or until chocolate is set. Break into pieces. Store in airtight container. Substitute dark chocolate chips for semisweet chocolate chips.